Typing a name in the search box will pull up first, middle, and last names that match the search. For example, a search for 'Rose' will pull up Mary Rose Jack (Rose is middle name), Rose Eddington (Rose is first name), and Leona A. Rose (Rose is last name). The Historical Roster can be browsed alphabetically too. Simply click on any letter and the Roster will be sorted alphabetically based on the last name of the person in the Historical Roster. The Historical Roster indicates the role of each person listed. 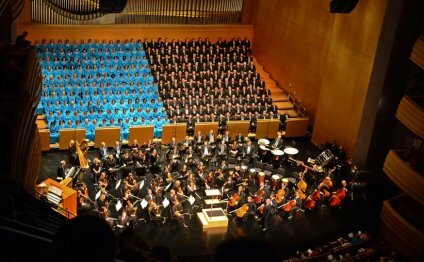 MTC means the person was in the Choir, OTS signifies Orchestra at Temple Square, BOTS stands for Bells on Temple Square, and Staff means the person was on the volunteer or professional staff. Information on the years of service and part/assignment are also provided, if known. An asterisk (*) denotes non-consecutive years of service.